When I visit a new city, one of my favorite things to do is find somewhere to get a great overview of the city. I’ve already discussed five of the best natural urban vistas in the world, but today, I’m going to discuss five of the best observation towers in cities around the world. The view from the top of Taipei with Taipei 101 towering above it. 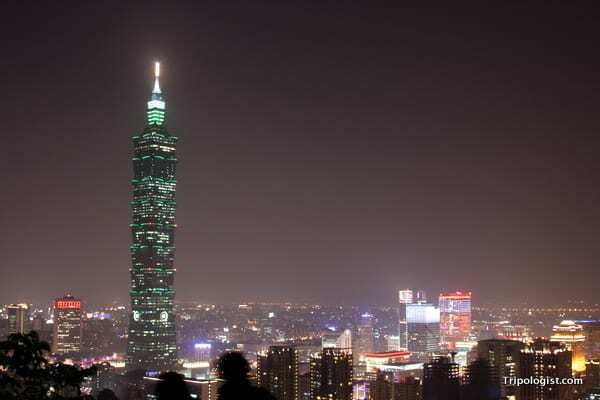 The tallest building in the world from 2004-2010, Taipei 101 rises insanely far above the rest of Taipei, Taiwan. 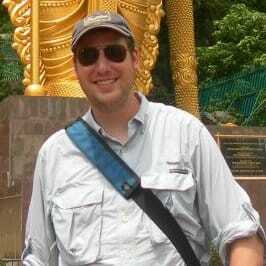 Because of this, Taipei 101 provides an excellent vantage point for viewing the sprawling city below. The observation deck at Taipei 101 sits between the 88th and 91st floors and features both inside and outside observation decks. Since Taipei 101 is so much taller than the surrounding buildings, the view of the city is quite expansive. One unique feature of the observation area is the giant damper that moves during earthquakes or typhoons and prevents the tower from moving or crumbling. The view from the observation deck at the top of Philadelphia City Hall. For a long time, Philadelphia City Hall was the tallest building in America’s seventh largest city. In fact, from 1898 to 1904, Philadelphia City Hall was the tallest habitable building in the world, and the observation deck just underneath the famous William Penn statue offers the city’s most expansive view. What’s cool about the observation deck is that it’s at the top of a historic building, meaning that you get a very cool view as you are riding the tiny elevator to the observation deck. It’s also surrounded by other tall buildings, really giving you the feeling that you are high up in the Philadelphia skyline. 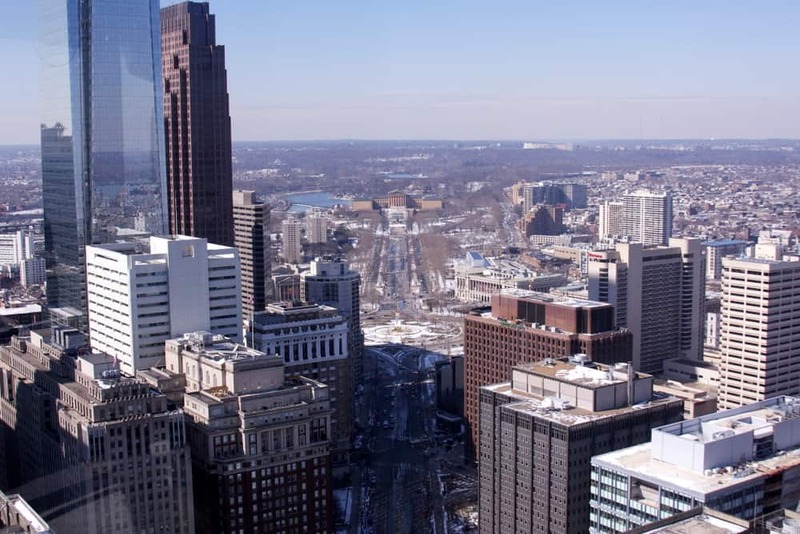 Find out more about what it’s like to visit the Philadelphia City Hall Observation Deck on our sister site. The CN Tower in Toronto, Canada. Towering 1,800 feet over the streets of Toronto, Canada, the CN Tower is one impressive landmark. If you enjoy sky-high views, the observation deck here is not to be missed. 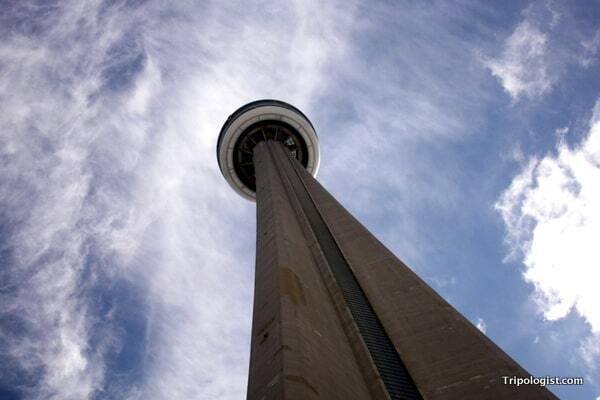 Offering a full 360-degree view, the CN Tower is great for those looking to see Toronto from above. In addition to the great view over the city and Lake Ontario, the CN Tower also offers windows on its elevators so you can see the view as you head up the tower. Even cooler is the glass floor, which allows you to look directly down to the ground 1,500 feet below. It’s definitely a strange feeling. 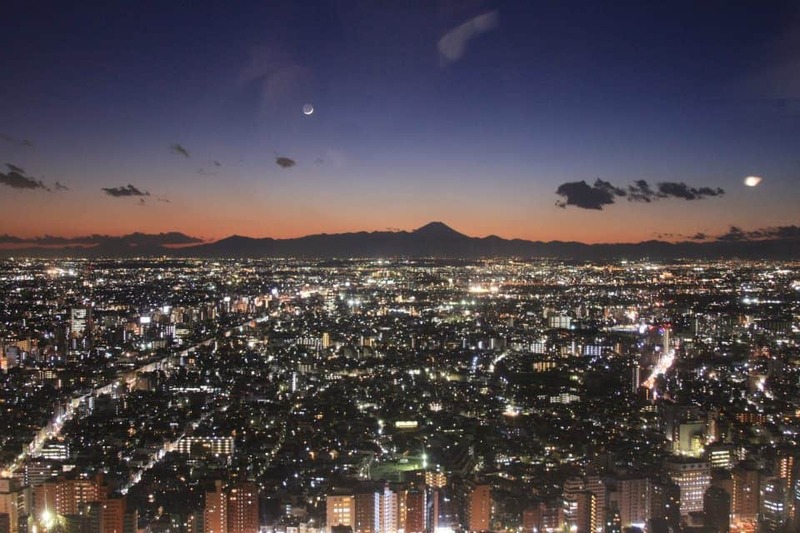 The Tokyo skyline with Mount Fuji visible in the distance. There are many places to get a sky-high view of downtown Tokyo, Japan, but few are better than the top of the Metropolitan Government Building. Home to the city’s government, the observation deck sits atop a 45-story building and commands an impressive view of the city below. Even better, visit on a clear day, and you might be able to see the beautiful Mount Fuji in the distance. And, best of all, the observation deck is completely free! More information about visiting can be found here. While Philadelphia City Hall is a very historic building, the most historic structure on this list has to be the Washington Monument in Washington, DC. Built as a memorial to America’s first president, George Washington, the Washington Monument towers over the city. For several years, the monument was closed to visitors after it was damaged in a minor earthquake, but it’s open again to the public and offers an expansive view of the US capital city. If you ever get the chance, take a tour down the stairs from the top, which are covered in historic markings. Also, while outside, note the different rock colorations. This was caused when construction was halted during the US Civil War.